Our firm specializes in offering an interesting collection ofComputer Vision System: VisionPro. 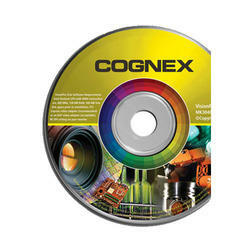 This exclusive range is easily compatible with Microsoft® Windows® 7 in five languages. It also supports Microsoft 64-bit operating systems to meet the demands of larger cameras and greater pixel depth. Our offered range is widely used in organizations and companies for providing solutions for the most challenging machine vision applications. Proven in more than 600,000 installations worldwide, the VisionPro tool library spans all vision needs. from geometric object location and inspection to identification and measurement. Combined with flexible and powerful PC-based development, VisionPro makes it faster than ever to create and deploy solutions for the most challenging machine vision applications. VisionPro is fully compatible with Microsoft® Windows® 7 in five languages and also supports Microsoft 64-bit operating systems to meet the demands of larger cameras and greater pixel depth. VisionPro software's framework enables users to switch seamlessly between 32-bit and 64-bit operating systems.